Archbishop Charles Chaput speaks to all CatholicPhilly.com readers in his new audio message. He hopes that as we welcome Jesus Christ into our hearts and homes this Christmas, we may imitate the Lord’s example of love and service to others. 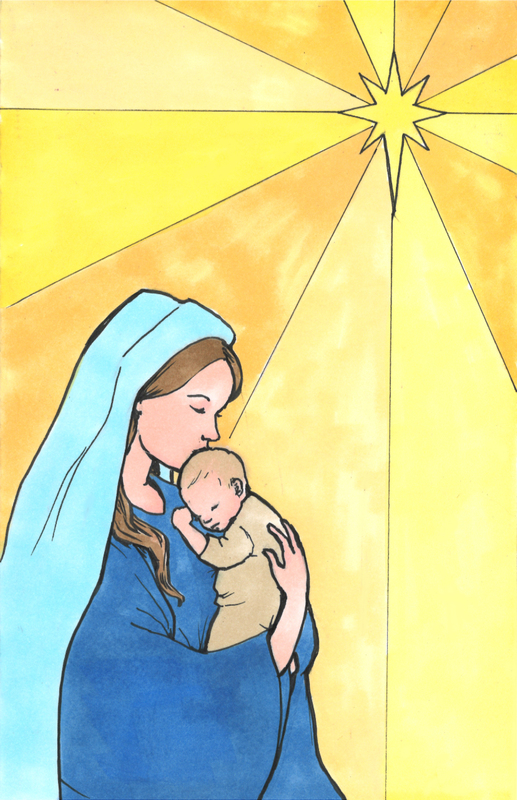 Below is the image included on Archbishop Chaput’s Christmas card for this year, created by Roman Catholic High School junior Andrew Castro.